GALVESTON — Several state lawmakers on Monday vowed to champion a hurricane protection system for the Texas coast — the Houston region, in particular — by giving money to scientists so they can finalize storm surge barrier proposals, or by working with members of Congress to bypass a lengthy U.S. Army Corps of Engineers process and secure federal funding directly to build a super seawall, levee or gate system. At the coastal barrier committee’s second meeting on Monday, state lawmakers again stressed the need for a fully formed plan and urged the scientists and engineers to ask for whatever they need to get the job done. State Sen. Larry Taylor, R-Friendswood, the committee’s co-chairman, suggested the Legislature use some of the BP oil spill settlement money so researchers can develop their plans to the point where they might be shovel-ready. He said he was unaware that the researchers had ever asked the Legislature for money. 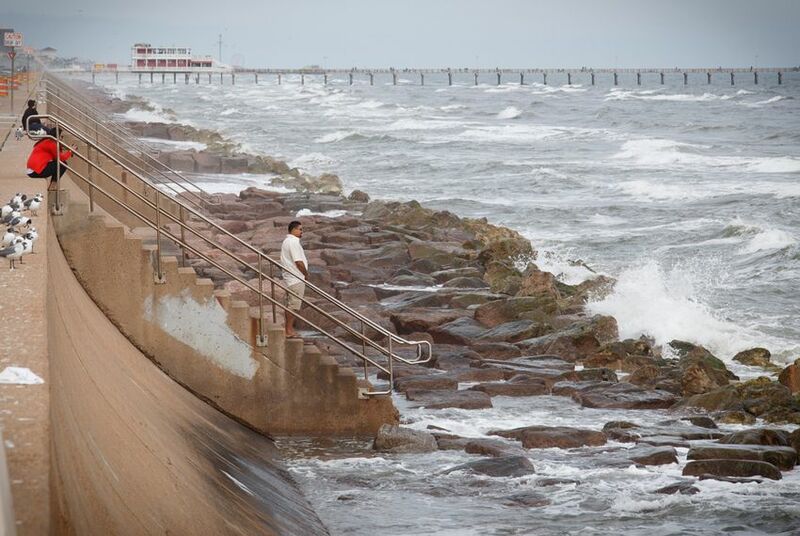 Many of the scientists and engineers told the panel they lack funds to conduct environmental assessments of their proposals, which are all designed to hinder storm surge — the wall of water hurricanes push in front of them — from inundating the Houston-Galveston region. Until that happens, they said true cost and feasibility is unknown. Bill Merrell, the A&M oceanographer credited with developing the coastal spine, told the panel Monday he had asked for $2 million last year but it was stripped from the state budget “at the last minute.” He noted that the Legislature created the university’s Center for Texas Beaches and Shores in 1993 but has never funded it. The same goes for the Severe Storm Prediction, Education and Evacuation from Disasters Center headquartered at Rice University, which lawmakers authorized in 2007. “Certainly we can help you with that,” said state Sen. Lois Kolkhorst, R-Brenham, told Merrell. A consortium of six Houston-area counties is studying the coastal spine and other plans and is expected to publish a report in June recommending how best to proceed. But the Gulf Coast Community Protection and Recovery District, which secured a $4 million state grant to carry out the study, also has been limited by funding constraints, President Robert Eckels told the panel Monday. Committee members appeared interested in developing plans as fully as possible so the state would have one “on the shelf” by the time the next hurricane hits — one detailed enough to get fast-tracked federal funding. Kolkhorst also wondered several times about the state financing a project itself since the regular Army Corps process typically takes years, although she said after Monday’s hearing it would ideally be federally funded. Earlier this year, the Army Corps — in collaboration with the Texas General Land Office — embarked on its own study of small- and large-scale projects to protect the Texas coast, and the Houston area, from hurricanes. Land Commissioner George P. Bush has said hurricane protection will be his top priority for the 2017 legislative session. The corps' study will borrow heavily from the work of the six-county district and academics institutions and include an environmental assessment. But it won’t be completed until 2021 at the earliest, assuming Congress doesn’t pull the plug on funding. That means something wouldn’t be built until several years after that — a timeline committee members said is unacceptable given that the Houston region typically gets hit by a storm every 15 years. The area hasn’t seen a storm since Hurricane Ike in 2008. Even though that storm was the third costliest in U.S. history, it was considered a near-miss and prompted researchers at local universities to take a closer look at worst-case scenario storms and develop plans to guard against them. If Ike had landed just 30 miles to the southwest, it would have sent a massive storm surge up the Houston Ship Channel. That manmade waterway is surrounded by dozens of refineries and chemical plants that make up the nation's largest refining and petrochemical complex and produce much of its fuel, chemicals and plastics. Citing the national interest of such a project, Taylor said Monday the state should consider skipping the Army Corps process altogether and seek a direct appropriation from Congress. That is something Louisiana was able to do after Hurricane Katrina in 2005 with the federal government picking up the entirety of the $14 billion tab, he noted. “Your normal process is longer than I want to take,” he told Col. Richard Pannell, the commander of the Army Corps’ Galveston District, who addressed the panel Monday. Pannell said that “Texas is one of few states that does not have a coastal plan” for hurricane protection. Congressman Randy Weber, R-Friendswood, told the panel he was already putting pressure on the four Texas congressional members who serve on the budget-writing appropriations committee to try to secure funding for a project outright. “I’ve got all of them on board,” he said. After the hearing, though, he cast doubt on the ability to actually get that done, citing a recent ban on earmarks. While this project has more merit than a hike-and-bike trail, he said it may be dismissed as pork. "Whether or not we can actually get it in the bill as a direct appropriation, I will shoot at it but I will tell you I've been pushing that attack and they just said, 'Oh, that's an earmark.'" Disclosure: The General Land Office was a corporate sponsor of The Texas Tribune in 2011. A complete list of Tribune donors and sponsors can be viewed here.